On a very (rare) hot, incredibly beautiful Sunday In June, I was thrilled to be invited to The Dorchester Hotel in Mayfair London, for a very Exclusive launch. 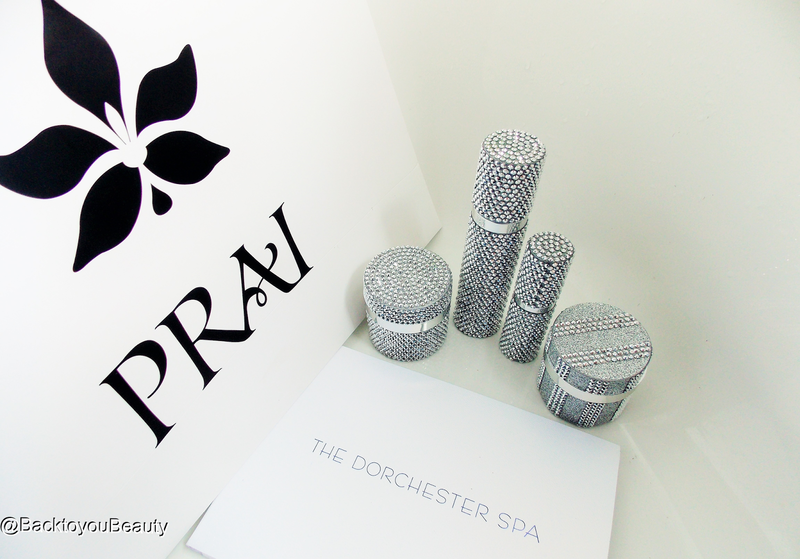 Prai Beauty and The Dorchester Spa announced their partnership and unveiled the Bespoke, Limited Edition range of high end skincare products. 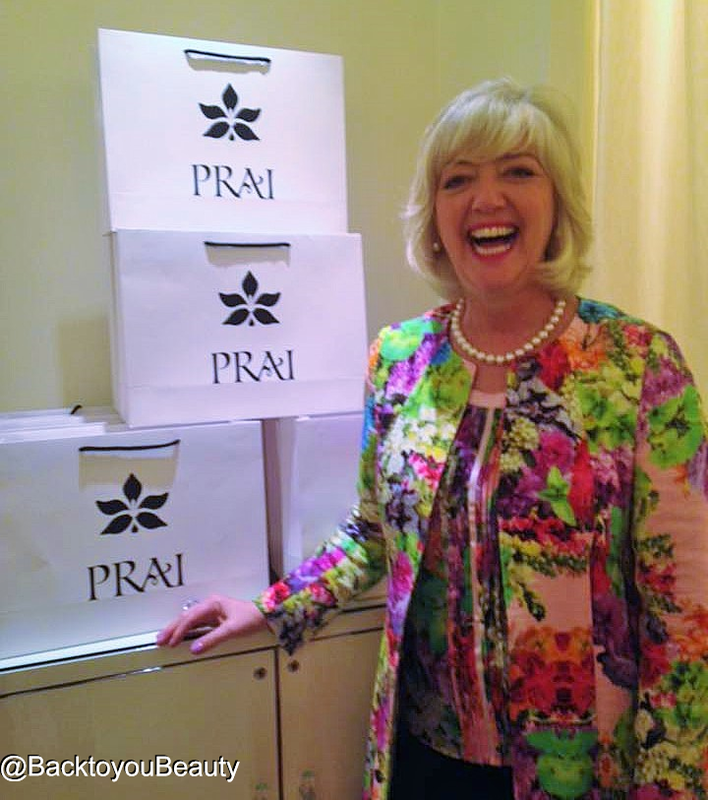 PRAI Beauty is all about real women, real ageing issues and real results! An ethos that I love as they never try to “stop” the ageing process but make us look after ourselves and our skin to the best of their ability whilst it happens! Never demonstrating their products on incredibly young, wrinkle free women, they show us real women and real achievable results! If that wasn’t enough of a reason to love this brand, at the core of everything they do, with the purchase of every PRAI product, a portion of the proceeds goes directly into supporting animal causes around the world, including here in the UK. Amazingly, every member of the PRAI team donates their time to helping out at animal shelters! Wow! Wow and wow! In 1999 and armed with over 20 years experience in the Beauty industry, British born Cathy Kangas developed PRAI Beauty. Now living in America, using the unique PRAI Extract and armed with a team of experts with beauty backgrounds from Revlon, La Prairie, Chanel, Lauder and Lancôme, PRAI ( Taken from the name of a Ginger Like root that has been harvested in the tropical forest of Thailand for more than 1000 years) is a high end luxury that is accessible to all. Having had the absolute pleasure to meet and chat with Cathy on the day, not only did I fall in love with her effervescent personally, cheeky giggle and penchant for hilarious stories, but also her honesty and integrity when it comes to her products, her love of giving everyone the best skin possible and her devotion and passion for the safety of animals which has helped PRAI achieve Leaping Bunny Status. 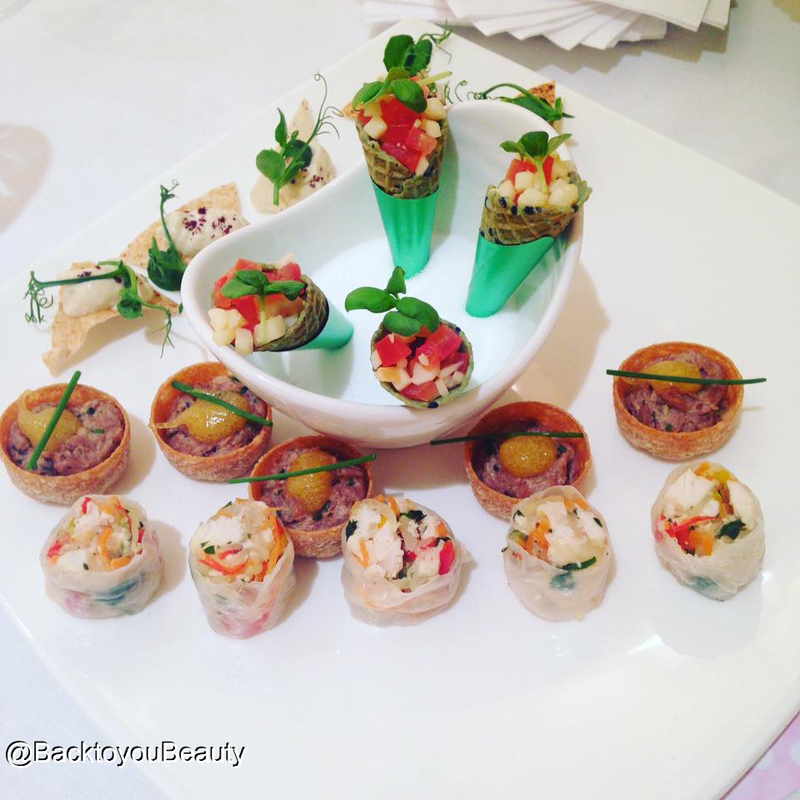 On the day we were treated to a beautiful Canapé and Champagne reception in the Stunning and tranquil surroundings of The Dorchester Spa and introduced to the most sparkly, glamorous selection of products that I have seen. Listed below are those that are available. 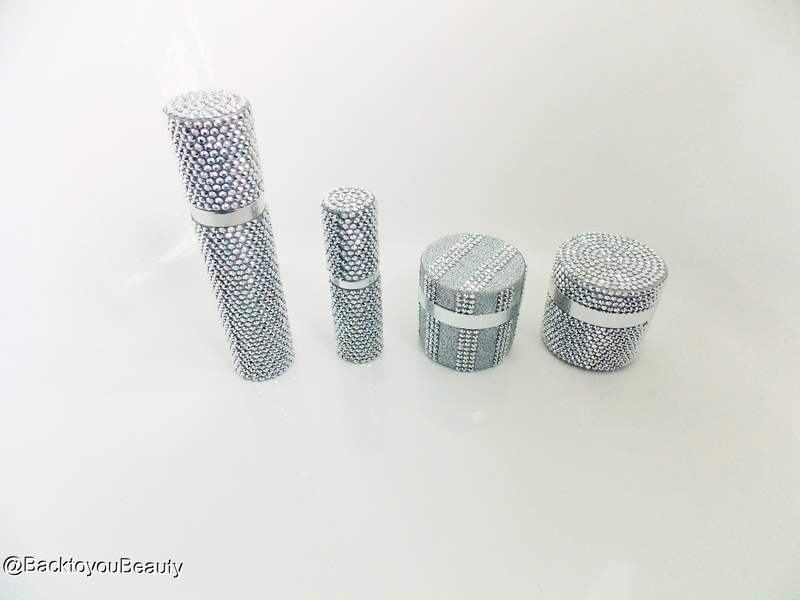 Firstly, as you will see, the beautiful, sparkly packaging is a real eye catcher which will look stunning on any Bathroom shelf or dressing table. Described as the “Liquid Eye Lift” This incredibly cooling, lightweight Serum uses multi-power peptides to lift and firm the eye area. It also includes precious PRAI Oil which has been used for thousands of years because of its smoothing, hydrating and nourishing properties. 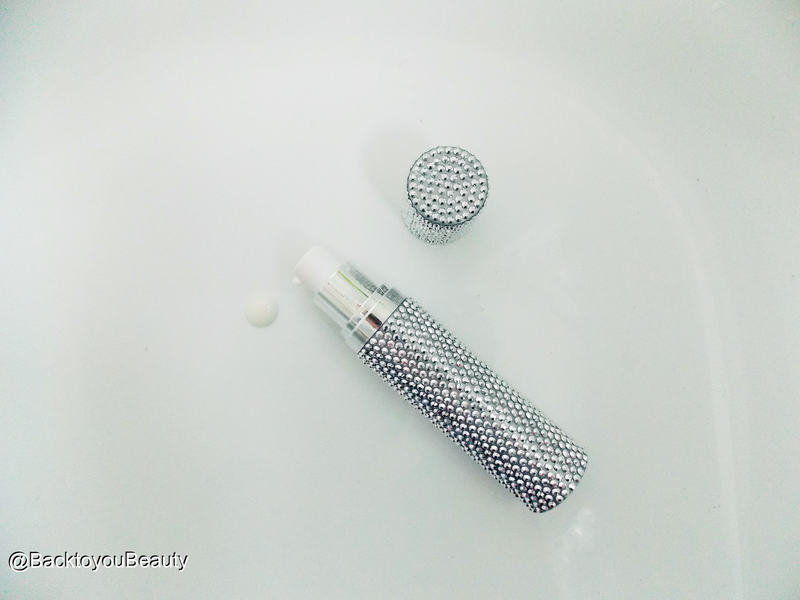 Platinum is used for its antioxidants and also helps fights free radicals and Praisomes and Nulastic Silk are used to build the skins structure and drip feed key ingredient’s into the skin over a period of time. What I love the most about this incredibly lightly scented product is that you only need a tiny amount to make a difference. Twice daily I take half a pump and share between both my ring ringers, I then gently tap this in and around the delicate areas of my eyes including my laughter lines, under my eyes where I suffer dark circles and all the way under my lower lash line. Immediately my eyes feel cool and look brighter and appear more hydrated. 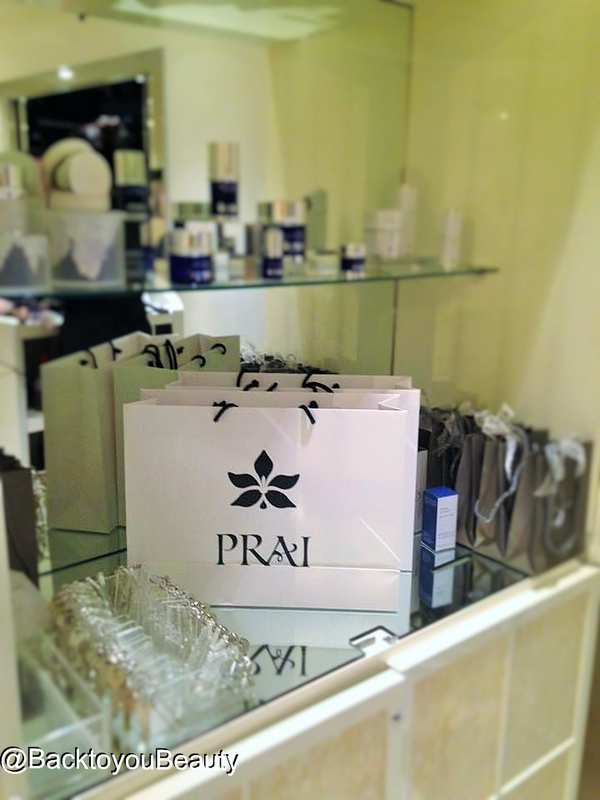 I simply adore this Iconic product from PRAI. Having had the fortune of using this product before, I know it works on me and makes a HUGE difference to the look and feel of the skin under my chin. Known in the industry as the “Throat Experts” this product is PRAI’s number 1 selling product worldwide! A beautifully, uplifting, lightly scented product that has a very different texture from others I have tried. It has a really bouncy, wobbly texture with a built in elasticity that targets Crepey, crinkled skin. 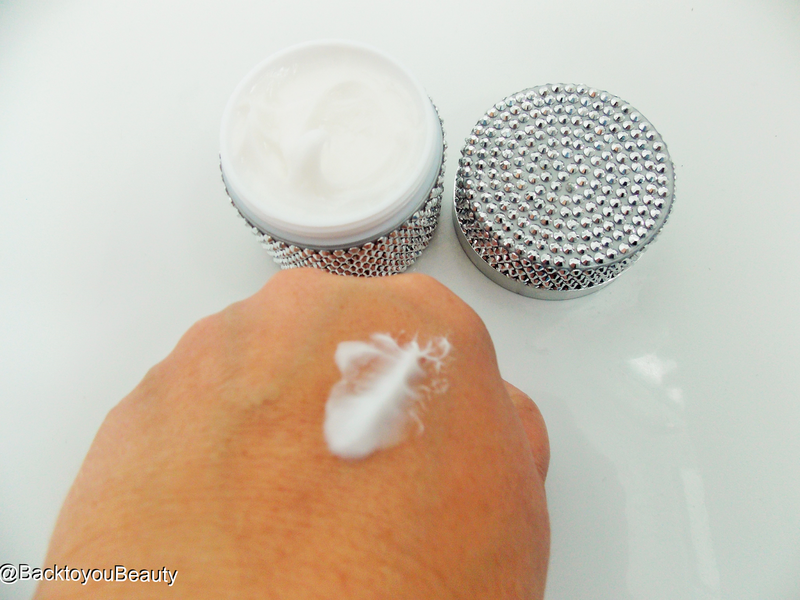 This cream is incredibly lightweight and cooling and sinks quickly and beautifully into the skin without leaving any roll off. Formulated with Sepilifting technology to restore skins elasticity and support skins Collagen, Mulberry, Saxifrage and Grape Seed extracts to brighten and help with Pigmentation marks, Hyaluronic Acid and Squalene to correct the signs of ageing, PRAI Oil and vitamins A, E and F this is a powerhouse!! I use this both morning and evening and gently apply it in upward motions from my bust up to my jaw and around my neck. It feels wonderful on the skin, has a lovely slip factor which makes it easy to apply without rubbing and makes the skin feel silky soft and smooth. I noticed a difference within days! An absolute joy to have and can be used with any other skincare routine. This incredibly generous sized product not only looks beautiful but will last you such a long time. A concentrated serum containing ingredient’s including antioxidant delivering Platinum, Chlorella, Kombucha, Precious PRAI Oil and Red Algae this is all about lifting, firming and contouring sagging skin, whilst increasing hydration levels and creating a more youthful looking skin. This is an incredible Serum as sometimes you have to make a choice with your serum for either hydration, or lifting and firming, but here you really can have everything your skin needs in one product. I use this product twice a day after cleansing but pay more attention to massaging it in of an evening when I have more time. I have a very dehydrated skin so some days I can really see those lines of dehydration, the Kombucha which is a fermentation of black tea, works really well at repairing and preventing these lines that can eventually become permanent. 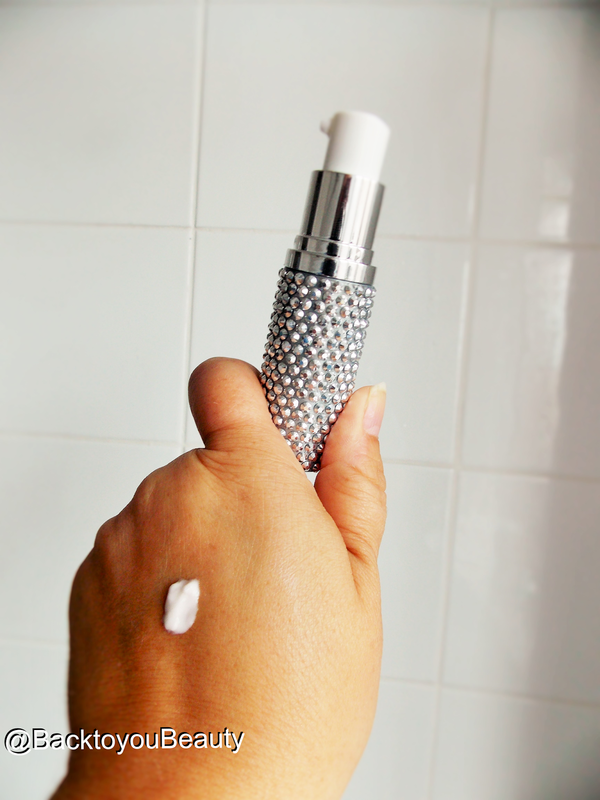 A lightweight serum which looks like a lotion but feels like a serum, sinks in fast which is fantastic of a morning if you are in a hurry as you can apply your eye cream and moisturiser immediately. Of an evening I really massage this into any areas where I have more lines so those frown lines and the odd wrinkle on my forehead. For me this is a go to for smoothing the surface of my skin and making it look more contoured and hydrated. I think this would suit all skin types including sensitive (Unless you cannot use scented products) and oily skins as it really mattifies the skin after application. 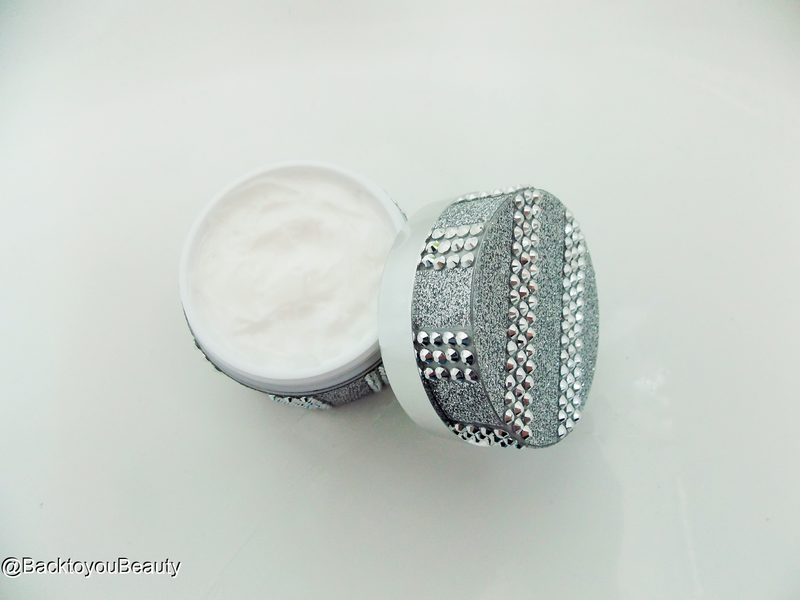 This cream is incredibly luxurious and a richer texture than the Throat and décolleté cream. Again containing that all important precious Platinum to fight free radicals and PRAI extract for smoothness and suppleness and a plethora of lifting and firming ingredient’s, this is a continuation on a theme of helping the fight against sagging, drooping skin. 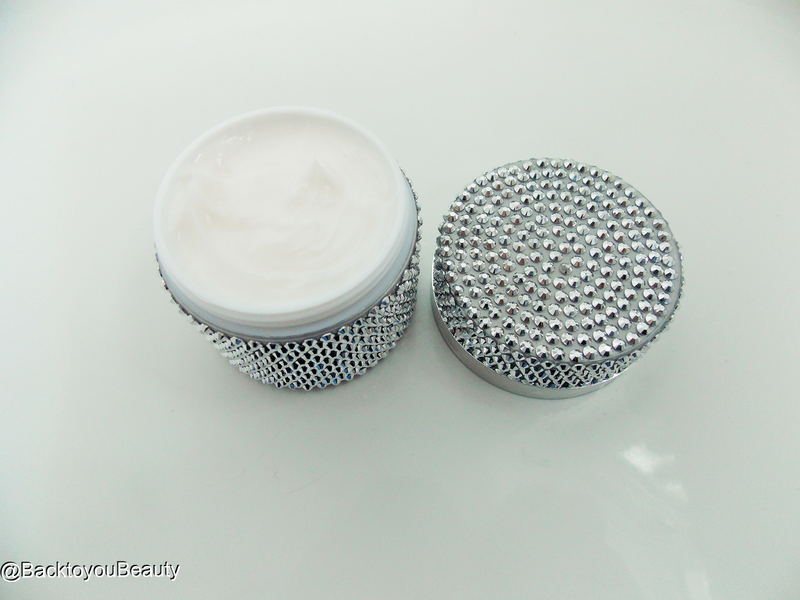 Although this is a very luxurious cream in texture it does sink in beautifully without much massaging in. It does leave my skin tacky for a few seconds and then it is perfect for make up application. It really does give my skin that “ping back” ability, that just makes it look and feel more lifted and firmer. My overall thoughts on this collection – This collection really is glamorous to look at and beautiful to use. Each and every item mentioned above does offer amazing, fast working results which on me have included a more lifted and smoother neck and firmer, more contoured skin around my jaw area. My skin also appears brighter and hydrated. I would say that if you are someone that cannot use scented products then this would not be for you, especially as you layer each product and each one is scented. I would also suggest this collection would be more suited to a skin that really is showing those signs of sagging, crepey skin and fine lines and wrinkles and perfect for anyone aged 50 and above showing signs of a mature skin. It would be great on dehydrated skin such as mine, as long as you are not sensitive to scents. It really is a beautiful, luxurious collection that is perfectly suited to the opulent surrounding of The Dorchester Spa but also for making us women feel beautiful and glamorous each and every day. Definitely an affordable luxury. 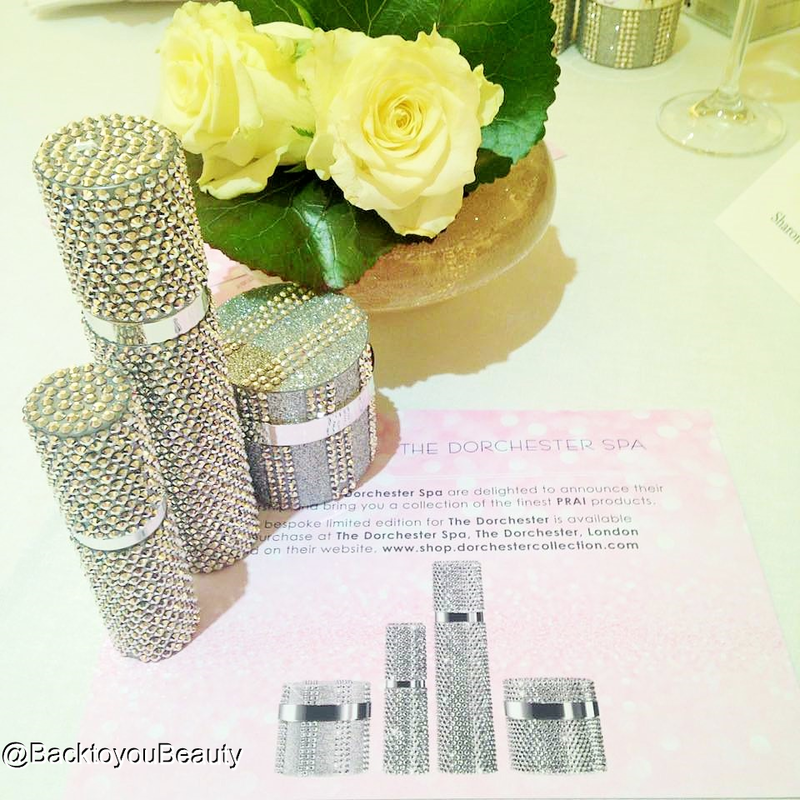 This Limited Edition Selection of Products is available to purchase at The Dorchester Spa London HERE, or online at PRAI HERE. "Pink to make the boys wink – Benecos Natural Beauty"